SeaComm Branch Manager Barbara Bessette with smoke alarms for SeaComm members. Photo submitted by Tyler J. LeBoeuf, marketing communications specialist, SeaComm. 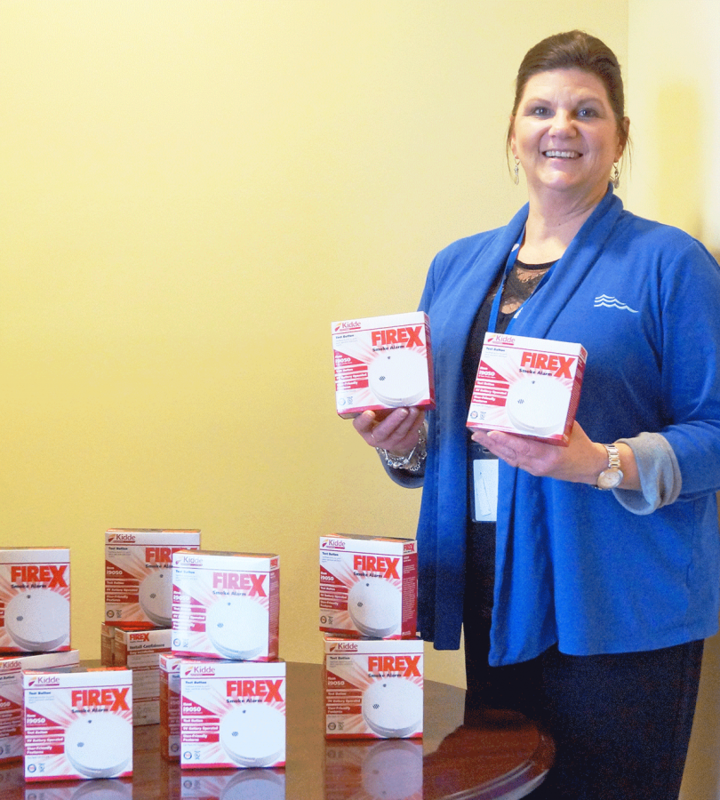 MASSENA -- SeaComm recently purchased over 500 smoke alarms, and donated them back to unsuspecting SeaComm members. The smoke alarms were given out randomly at all SeaComm branch locations, to help increase awareness and ensure the safety of local residents. This gesture is part of the Pay-it-Forward Program, which is an effort by SeaComm to further support the communities it serves.